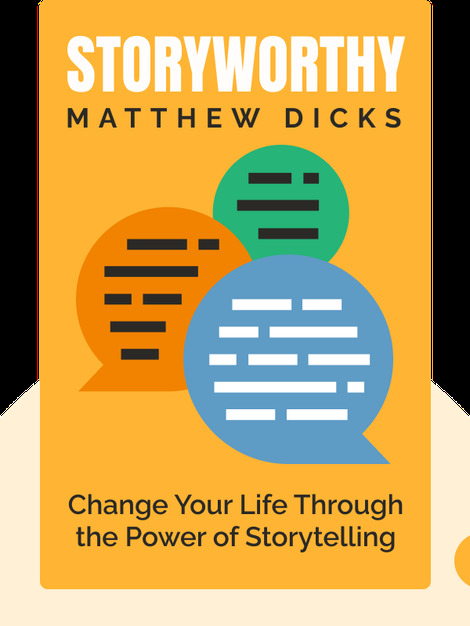 Storyworthy (2018) explains how to craft a story for maximum impact. 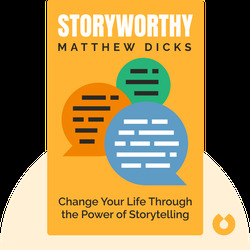 From intriguing beginnings to satisfying endings and everything in between, these blinks provide simple and effective tips and techniques for engaging your audience and bringing entertainment, authenticity and immediacy to your storytelling. Anyone wanting to improve their storytelling skills. People looking to get better at public speaking. Shy wallflowers wanting to brush up on their communication skills. Matthew Dicks is the bestselling author of novels such as Something Missing and Memoirs of an Imaginary Friend. He is also a performer and teacher. He is both a Moth StorySLAM and GrandSLAM champion.